and a Peaceful New year to all my blog readers! I trust you've had a good time, and been blessed with some happy days this Christmas. I've not felt like blogging, it's been nice to laze around with the children and potter around the house. 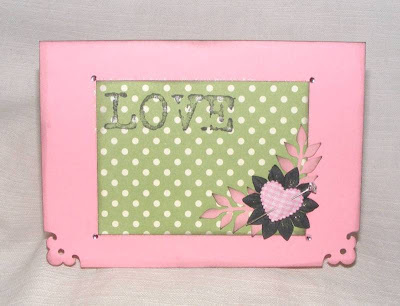 Managed to do the odd bit of crafting and being very restrained not to buy craft stuff in the oodles of online sales! We seem to be buying up most of our local Woolworths though! Again, been very restrained and getting useful stuff like pants for when my boys are 7-8, 8-9 and 12-13! and rechargeable batteries. Actually I have to confess to buying and hiding Wispa bars! 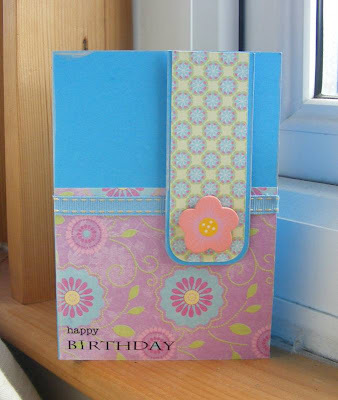 Anyway, thought I'd share this card, been trying to use up the scraps that have accumilated on my craft table! I've been thinking of some New Years resolutions... have you? Made this to put some pressies in. It was such good fun, all I used was an old catalogue and a stapler. I have a good mind to film myself doing it so you can have a go too! It's quite a sturdy little bag, obviously wouldn't be great outdoors in the rain, but useful at home for bits and bobs. 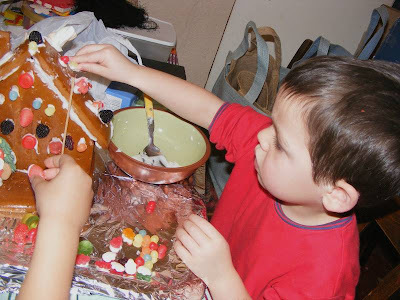 The boy's had been given a gingerbread house kit from their grandparents, they had great fun sticking the sweets on. How they resisted eating the sweets I'll never know! SALT - O Holy Night, and a good old catch up! Ok, I know, so my last post was the Salt challenge which was TWO weeks ago! Time has flown and lots has happened! it is almost here. the most wonderful time of the year. not just because of the presents and the food and the family time - fun though they are. 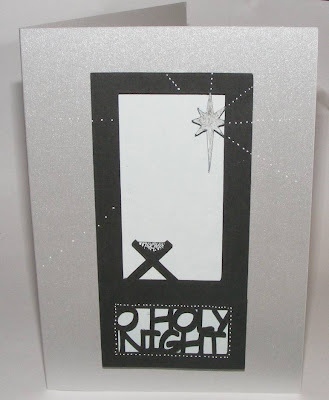 but because, on this most holy of nights, God comes to us as one of us. Amazing love. As always there are some fantastic contributions, and we love seeing what other people create, so please check it out here. I was a little late for the entry, here it is. I designed the black cut out on the Craft Robo software. Then stuck with 3D pads. We have had a hectic few weeks. PTA duties and fundraisers have been taking up a lot of my time. Also the sad and tragic death of the husband of a friend of mine. He was killed as a result of a car accident and leaves his wife and two small children. His funeral was on Tuesday, it was a fitting service, with the choir that he sang with singing a beautiful piece, and his father and mother playing a duet. 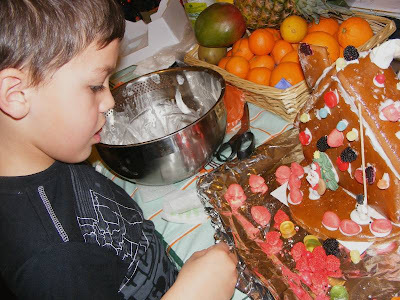 Christmas preparations and othe fun events have occured! Tom won us a dinner party! Basically a company called Reveller's organised an intimate dinner party in our home for 6 quests. 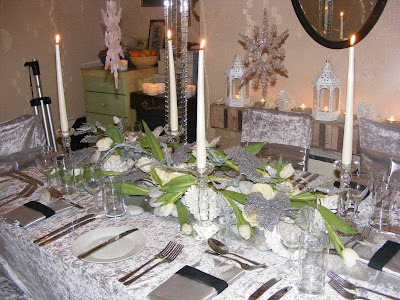 They had florists decorate our dining room with a metal frame over our dinner table from which hung stars and snowflakes. 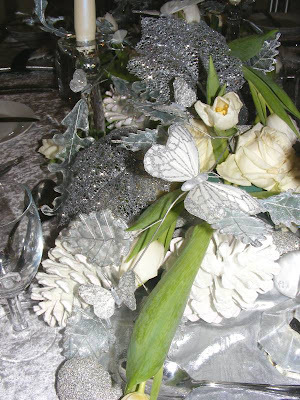 A beautiful table decoration of roses, tulips, silver leaves, butterflies, white painted fircones and pears took up most of the table! And around the room were candles and rose petals. A chef and assistant turned up at 3pm, most embarassingly I had been intending to clean my oven all day and came home to see them cleaning up my messy oven! At around 5pm two ladies from the Revellers turned up to check that everything was fine. I forgot to tell you that everyone had come from Manchester, a two hour journey away. Then I was told that a lovely lady called Jenny was coming to sing to us and our guests! At about 6.30 the local journalist/photographer came and took pictures of us. Then we had canape's of sesame toast, prawns, fried wonton etc with a choice of two dips whilst listening to Christmas Carols sung accapella by Jenny who had the most amazing voice. Our main course was Quail breasts stuffed with rice on a bed of okra and spinach, all on top of a potato rosti with a masala sauce. The pudding was Creme Brulee set on a plate with 3 little biscuits and garnished with finely cubed strawberry and kiwi. DELICIOUS!!! We were very stuffed afterwards! Then after they worked their magic! 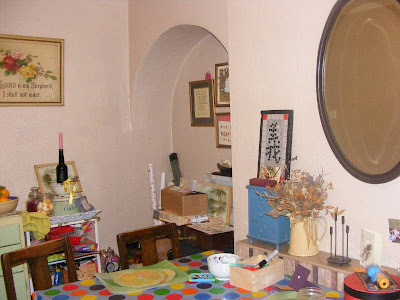 I was tidying (been doing a lot of that lately!) and found some pictures people had sent me when I was compiling a `This is your life' book for my mum's 60th birthday. 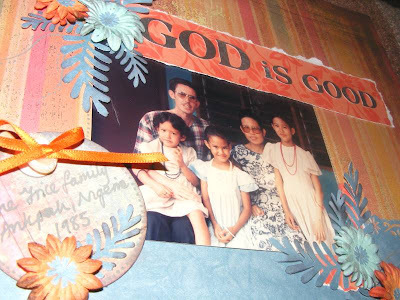 This week's theme on Salt is God is Good, this photo taken just before my family came back from Nigeria reminds me of God's goodness to my Parents, my sisters and I over the years. We have been so blessed with love, providence and relationships. PRAISE you GOD! There are some wonderful contributions on Salt, please check them out, and if you are inspired to create something please leave a comment and we'll come and visit your blog! 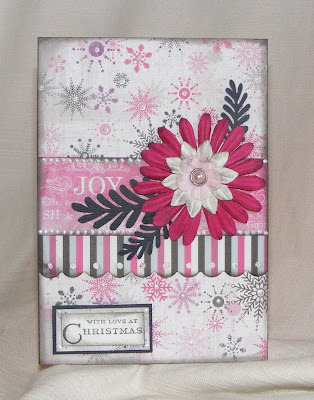 Paper by Basic Grey, TLC and Anna Griffin, Prima flowers, Fiskars and The Punch Bunch punches, letters and tag by BG, ribbon and button from stash. I'm a bit behind on the Christmas challenges on CBC, I've had a busy week! Ok, so it's not Chistmassy, I needed a thank you card! 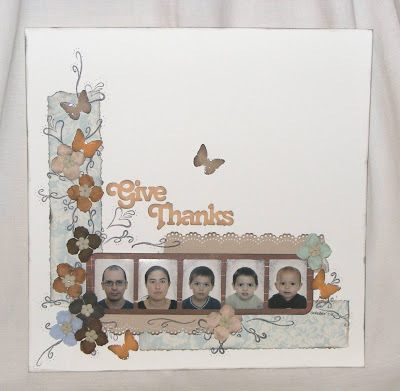 Stamps by Stampin up! and Anitas, Prima Flowers, Fern Punch by The Punch Bunch. This was the card I made with the Di Hickman sketch this week, I was a bit stumped at first as I don't tend to like sets of 2 on a card, I like 3, 5 etc. However, I persevered, and am pleased with the result. Can you tell I am totally loving my new fern punch? 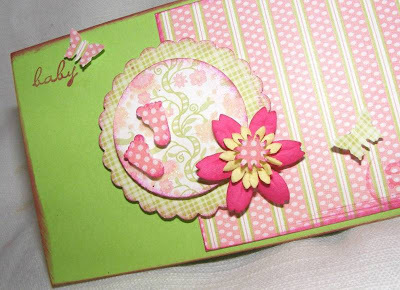 Prima Flower, punches by McGill, Punch Bunch and Martha Stewart, siticker by Brenda Walton, mini repro postcards and ribbon from stash and Pebeo pearl touch. 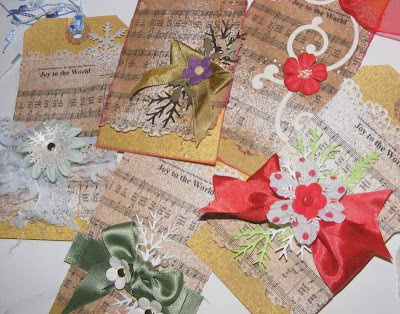 Prima Flower, punches by McGill, Xcut, Martha Stewart and Punch Bunch, Quickutz swirls, printed out music from ChristmasCarolMusic.org, brads, pin, fibres and ribbon from stash and Pebeo pearl touch. Kim set the theme this week over at SALT, it has been so timely. Knowing of the suffering some of my dearest friends have endured and then a lady I know from a church I used to go to died this week, it has been good to contemplate the Sovereignty of God in such matters. 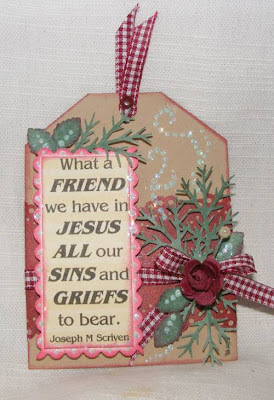 The hymn `What a friend we have in Jesus' came to mind, and seemed so apt for this theme. Thanks Kim! Please go to SALT and read what she has written. 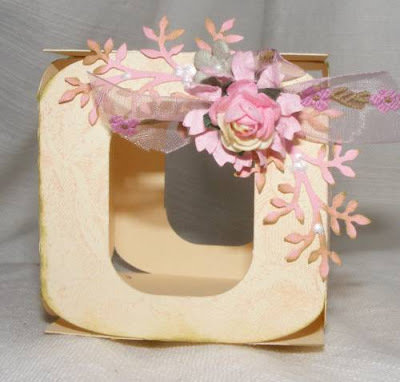 Paper by K and Co and HOTP, Tag by TLC, Martha Stewart Doily punch, Mc Gill pine punch and a leaf punch, Pebeo pearl touch AND glitter, Ribbon, rose, pin and brad from stash. 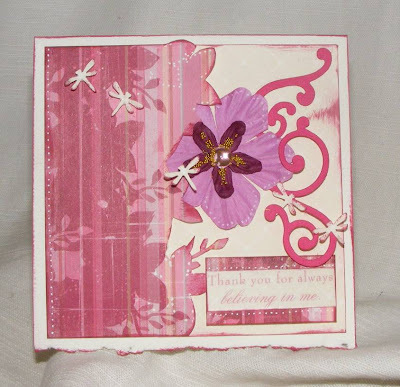 Paper by DCWV, Prima flowers, Stamps by Stampin up! and Runner Stampede. 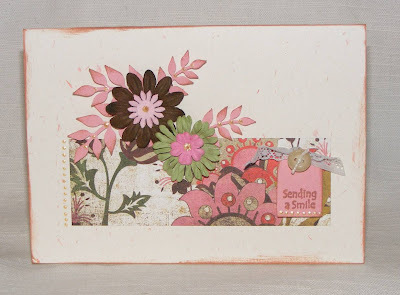 Stamps by Anna Griffin, Stampin Up! and EK Success, punch by McGill and EuroHobby, Pebeo Pearl touch and glitter. I have to confess I don't have many birds in my stash. 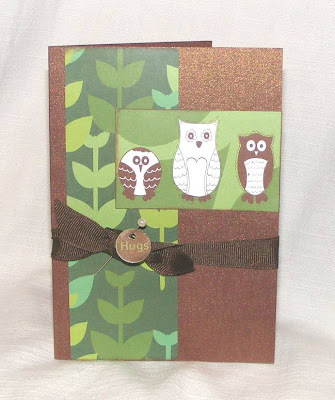 It seems that birds have been quite popular oflate in scrapbooking and cardmaking. Not really got into them myself, but have loved seeing what other people have done with birds. 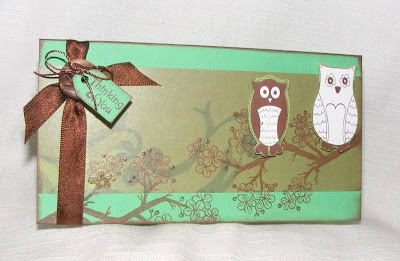 I did have some papers I got from my sister in a stash swap we did that had owls on them. 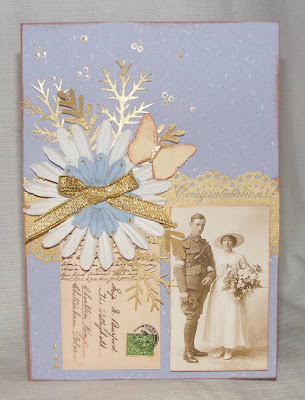 So here are a couple of cards made for DCM challenge this week. 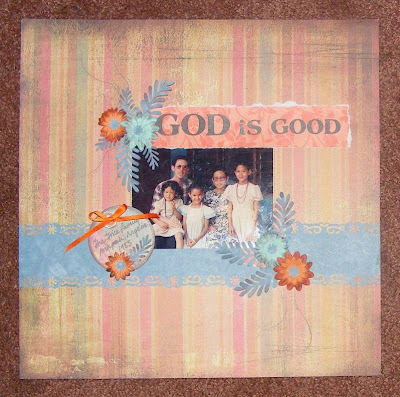 Paper by Paper Mania, Stamps by Lavinia Stamps and Hero Arts, Ribbon, button, string and pin from stash. Arty Girlz - Who inspires you? 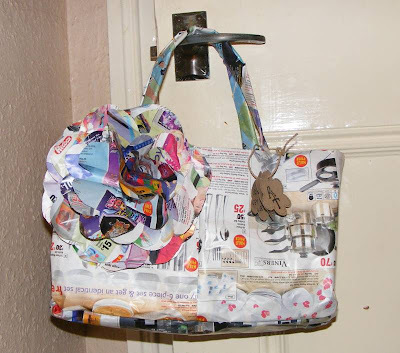 This week the Arty Girlz have asked us to create a piece of work inspired by someone's blog. As you may have gathered, I have been SO inspired by Karola's blog lately. Although I don't understand a word of what she writes, her work is beautiful. She attends to such detail, and her use of colour is wonderful. So, it wasn't hard for me to create a card. 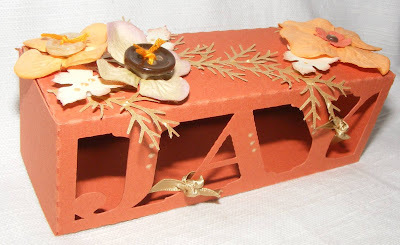 I also tried to use up some scraps from my craft table, had some left over punchies and flowers etc. So made a 2nd card too. ALSO! I love how the experiment with sprinkling fine glitter over the Pebeo pearl touch worked, I also dabbed some pva onto the brad and dipped in glitter. The result reminds me of Christmas cards I got as a child, with glitter that looked like frost. Anyway, here they are, thanks for looking, and thanks for the lovely comments you leave too! 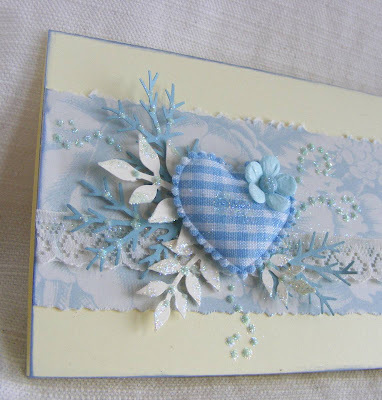 Paper and Stamp by Anna Griffin, Pebeo pearl touch, Prima flower, McGill pine punch, Leone Em leaf punch, glitter, gingham heart, lace and brad from stash. 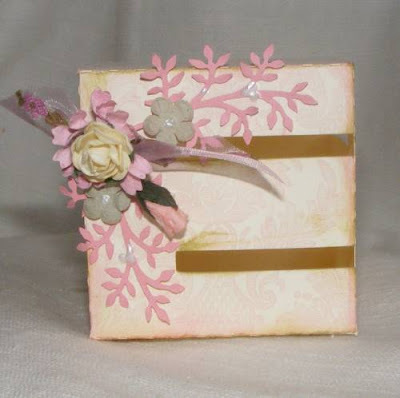 Paper from stash, McGill pine punch, Martha Stewart butterfly punch, Prima Flowers, Pebeo pearl touch, polka ribbon from stash. My card design style was recently described as understated, her the bling is very understated, not the top of the pin in the heart and the other 4 small bling! 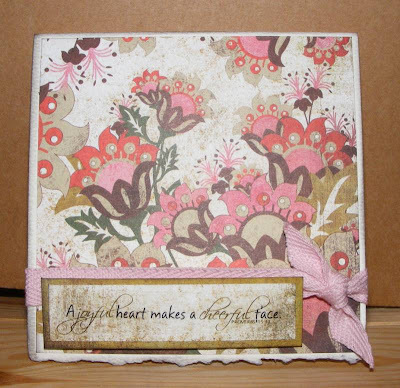 Paper by ?, stamp by Anitas, leaf punch by Leone Em, Prima flower, heart, pin and bling from stash. 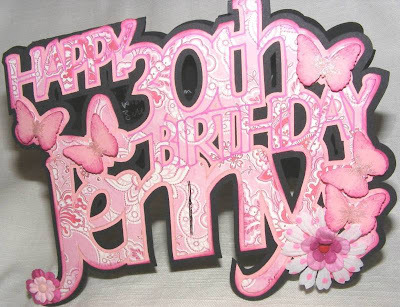 Been playing with my Craft Robo again, regretted using the patterned paper, it made the word birthday unclear. Hence all the extra doodling! 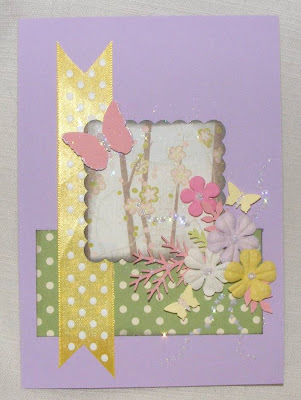 Paper by Anna Griffin, Prima flowers and Martha Stewart butterfly punch. Used CPS sketch no 90. Paper by DCWV, Hero Arts stamp, Prima flowers, leaf punch by Punch Bunch, scrabble letters by Paper Mania (I think) Corner rounder by Creative Memories. After my dabble using the robo to create letter boxes, I thought I'd have a go doing whole names. A very belated birthday present for a lady I used to work for. Used my lovely new pine punch from McGill, I had spotted it on Karola's blog and had to do some searching for it. 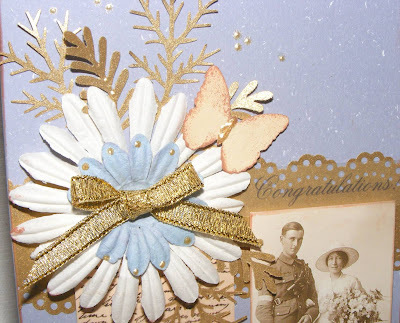 My sis Esther laid the scrap gauntlet down on her blog, so here's a card using some scraps from my table, I have to confess to reaching for a jar of Primas as the ones I had on my table were the wrong colour. We are living in uncertain times, so it's understandable if folk feel that there is no hope. As Christians, we have hope because of what Jesus did for us at Calvary. This hope isn't an airy-fairy 'maybe' for the future, but it is a certainty that we can claim now. 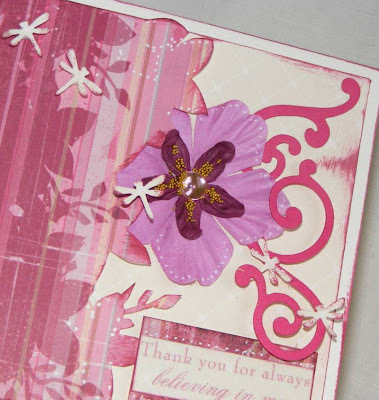 I've been inspired by Karola's blog a lot recently, I love her use of punches and flowers. This piece is very much in her style, with my own twist! 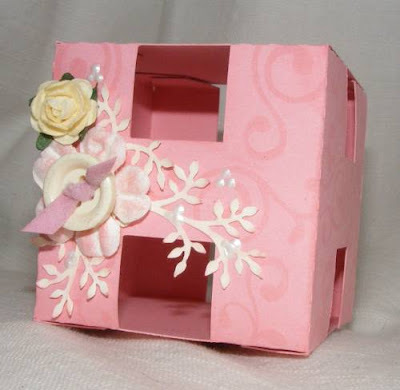 The letter cubes I designed and cut on the Craft robo. They were then stamped and decorated before assembling. 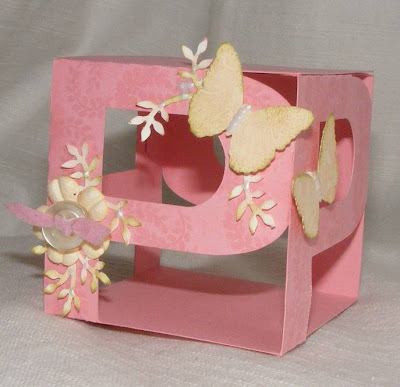 Stamps by Anna Griffin, HOTP and Rubber Stampede, Butterfly punch by Marth Stewart, Leaf punch by Leone Em, Prima flowers, Pebeo pearl touch. Ribbon and buttons from stash. 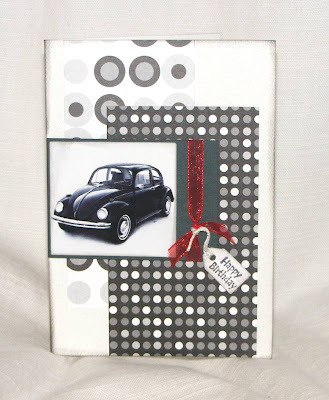 I've been comissioned by a friend to do a her husband's birthday card, he likes VW beetles. Used the CPS sketch of this week. Paper by DCWV (I think) Stamp by Hero Arts. Ribbon and string from stash. 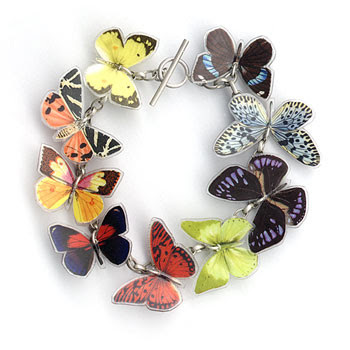 Someone buy me this bracelet please! Made this for my sister who is organising a baby shower for her friend. 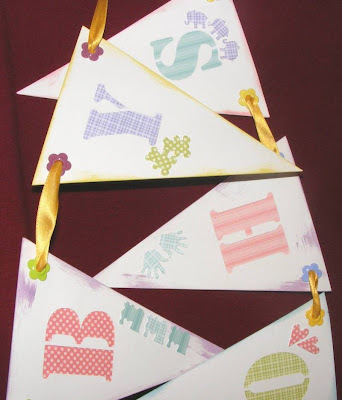 I used the craft Robo to design and cut out the bunting and the lettering, then I used DCWV Nanna's nursery paper behind the letter apertures. 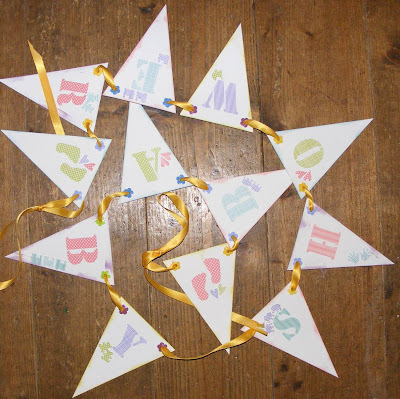 Also punched cute little shapes and decorated the inked bunting. The cropodile made easy work of the eyelets, although I think I ws being too heavy handed with it initially and the eyelets were looking over squashed! CBC challenge - Paper plus! 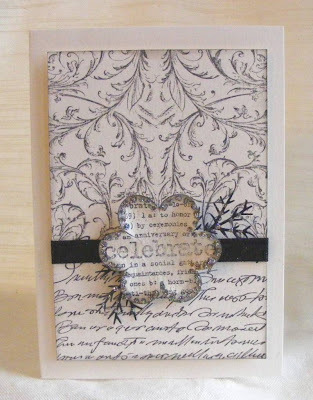 Today's challenge is to use patterned paper as the focal point of your project. The "rules"
no stamped or downloaded images - show off some of that beautiful paper you usually cover up with another layer! 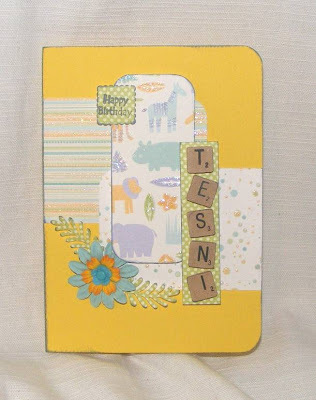 Paper by Basic Grey, sticker by EK success and ribbon from stash. 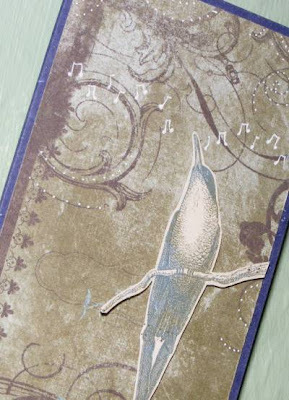 The close up is to show the bird has been cut out and stuck with sticky pads to make it `pop'. Used Fiskars scissors to cut him out! Notice the little notes he's singing too! Paper by Basic Grey, Font is Fiolex girls, white gel pen and ribbon from stash. Had a go at these for the 2sketches4you team call. I won't be entering this time round, but is fun to do. Used some of my new fabby stash that I got in a PIF (Pay it forward) on Crafts by Carolyn forum, thanks Helen! 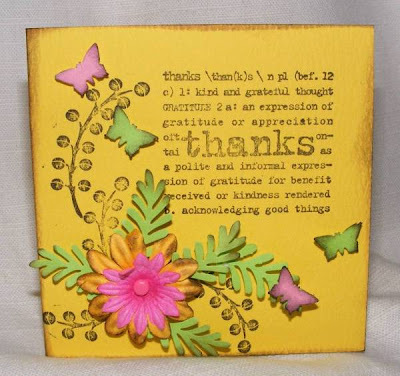 Paper by DCWV, Prima flowers, Anna Griffin stamp, Fiskars threading water punch, Punch Bunch leaf punches, Pearl touch. 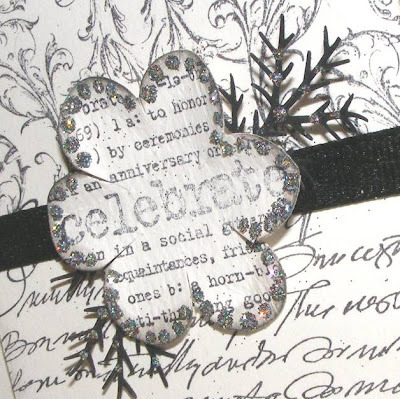 Paper by Basic Grey, sentiment sticker by Brenda Walton, Quickutz swirls, Prima flowers, accent beads, white gel pen. Wow, my blog has been choosen as a featured blog on A Faith Perspective! Just spent a lovely crafty evening at my friend's house. 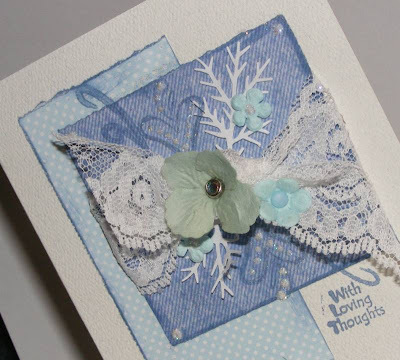 Been making cards and demonstrating some techniques, I so enjoy sharing the gifts God has given me and seeing others enjoy being creative too. Isn't there an abundance of things that we can be grateful to God for?! For starters - sending his son Jesus to die on the cross for our sin, so that whoever believes in him will not perish eternally in hell, but live with Him forever and ever and ever in heaven- praise God! Ok so it might not be easy to thank God in the hard times, but lets not forget all the blessings he has given to us and be thankful for them! Amen?! I've not done scrapbooking for ages! 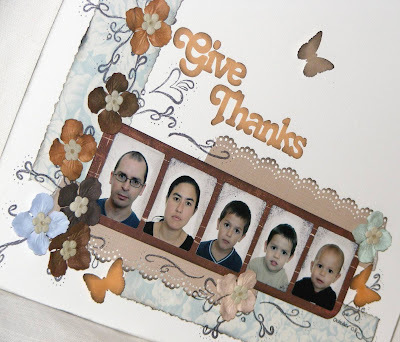 We had these passport photos done recently and thought they'd look fun in a layout. Just wanted to give God thanks for my beautiful family. 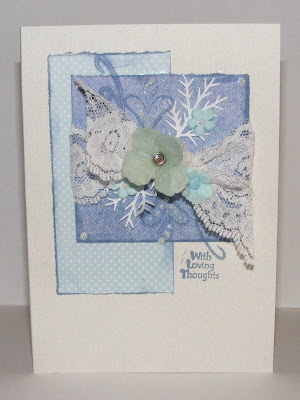 Card by TLC, Paper by Anna Griffin, Prima Flowers, Martha Stewart butterfly and doily lace edge punch, stamps by Studio G, Anna Griffin Clear Glass Finish. This is my `Happy Flower' card for Di's sketch this week.